From being one of Philippine basketball’s highest and brightest hopes of steering the country back to cage glory, Kiefer Isaac Ravena’s future – at least on the international stage – is now faced with uncertainty in the next 18 months. This, after the 24-year-old Philippine Basketball Association rookie tested for performance-enhancing substances, found in a supplement brand he used for pre-workouts, in a testing done by the sport’s world governing body during the second window of the FIBA World Qualifiers. A World Anti-Doping Agency-accredited laboratory based in Montreal, Canada did the tests wherein its Test Report showed an Adverse Analytical Finding (AAF) of the presence of 4-methylhexan-2-amine (methylhexaneamine), 1,3-dimethylbutylamine (DMBA), and higenamine. 4-methylhexan-2-amine (methylhexaneamine) and 1,3-dimethylbutylamine (DMBA) are specified substances prohibited in-competition under Section 6 of the 2018 WADA List of Prohibited Substances and Methods. A confirmatory test was done on another sample which later on yielded another positive result. The Player does not desire a hearing to be held in his case and leaves it to FIBA to determine his sanction. The SBP considered the Player to be candid and honest and a Player of integrity. Because of these developments, the player dubbed as local cagedom’s “phenom” is now barred from participating in any FIBA-sanctioned event – apart from other penalties and/or suspension the PBA might impose later on – for the next year and a half. It can be recalled that Ravena, who traces his roots to Iloilo, was pulled out at the last minute from playing in the final leg of the PBA All-Star Week on Sunday night upon the request of the Samahang Basketball ng Pilipinas. The second overall pick of the 2017 PBA Draft, Ravena saw action in all of the Gilas games in the Asian qualifiers. He tallied averages of 7.3 points and 3.3 assists per contest, with his best performance coming in the nationals’ home court victory over Japan last February. 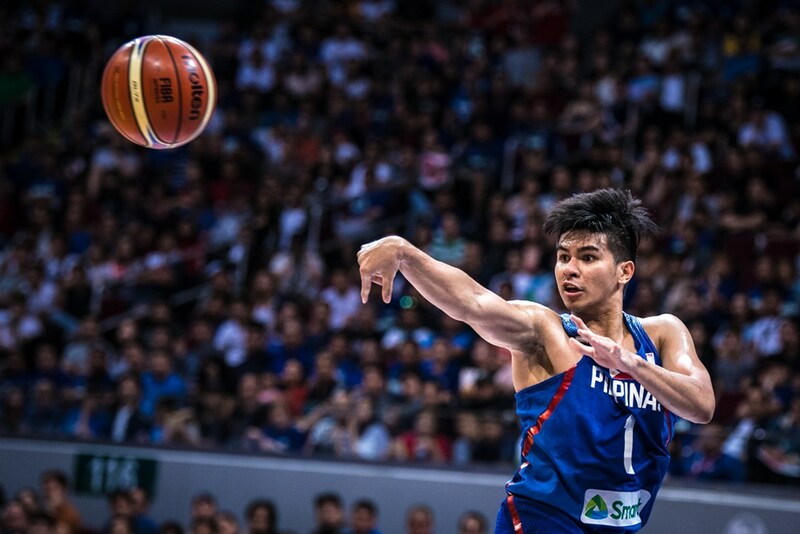 With Ravena scratched off from the national team, Gilas Pilipinas will undoubtedly have to adjust its floor movement and offensive strategy in the third window of the Qualifers. The Pinoys are set to face Taiwan in an away game on June 29 before facing a formidable Australian squad at the Philippine Arena in Bulacan on July 2.